Bet you didn’t know Burl was this multi-talented. Well, he always has been. Back in high school, he published his own underground newspaper which included his own cartoons. And you should hear him play harmonica. 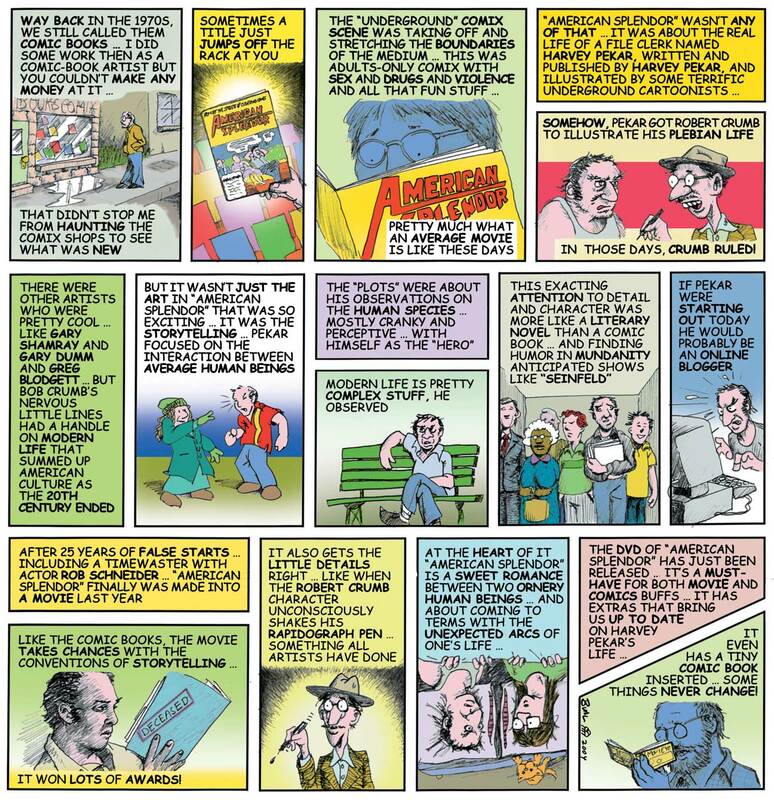 Anyway, I dug the Pekar piece, and thought y’all might, too. Don’t you dare trash my Uncle Sam! This entry was posted in Art, Blogosphere, In Our Time, Media, Movies, Personal, Popular culture on July 16, 2010 by Brad Warthen.